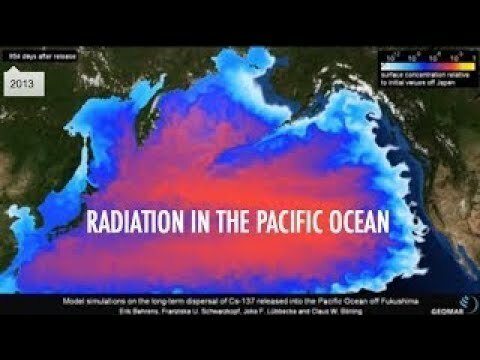 Fukushima radiation is 8 years old and has wiped out life in the Pacific and killed thousands of people. Is this an extinction level event? "wiped out life in the Pacific"? "killed thousands of people"? I wondered who listened to CNN and the dem whackos. I guess we know now. No. The Fukushima radiation isn't a mass extinction, The reactor spewed radiation after it was hit by an earthquake. It did??? Somehow I doubt that really happened. Were did you come up with that foolishness? No way - the US blew up fission and fusion test bombs in the Pacific for years and the USSR dumped radioactive waste up north when nobody knew; but the radioactive signal is readily detectable. Cancer rates around the world will increase and many more will die but it takes something larger for extinction. Something like the human population on this planet displacing 60% of all other mammal species on the planet, they'll have no where to go by mid-century cuz they'll be too many of us - that's an extinction level event. Extinction level?...only if the population of the earth is several thousand. Yes! Yes it is! Jesus christ, it's the end of world! Quick take what you want! Do what you want! It doesn't matter anymore because it's the end of the world!